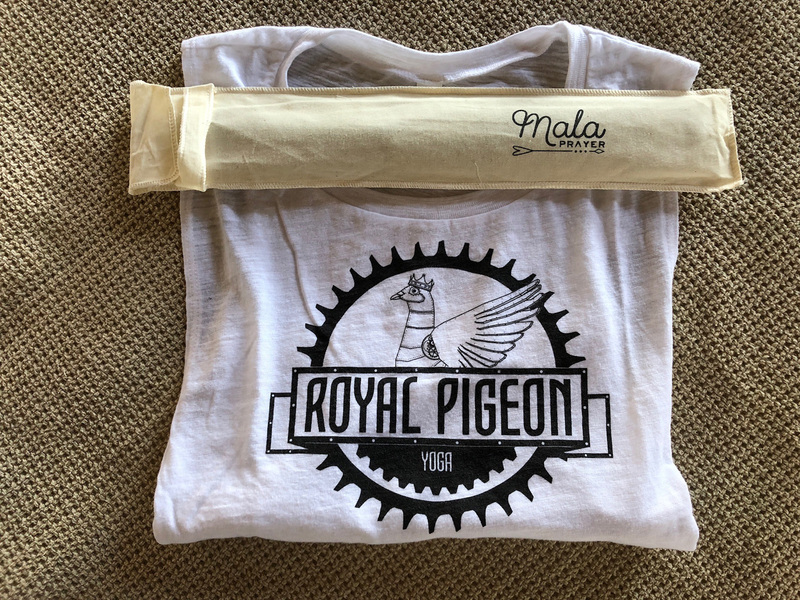 Royal Pigeon Yoga’s first retreat was a success! I’m still buzzing with happiness and gratitude for my students who made it possible. I had been dreaming about doing a retreat for years but was worried about how to put it together and if anyone would actually sign up. Getting local students to sign up for local classes is one thing; to get students to travel across the world is another! But, I was wrong to be so worried. 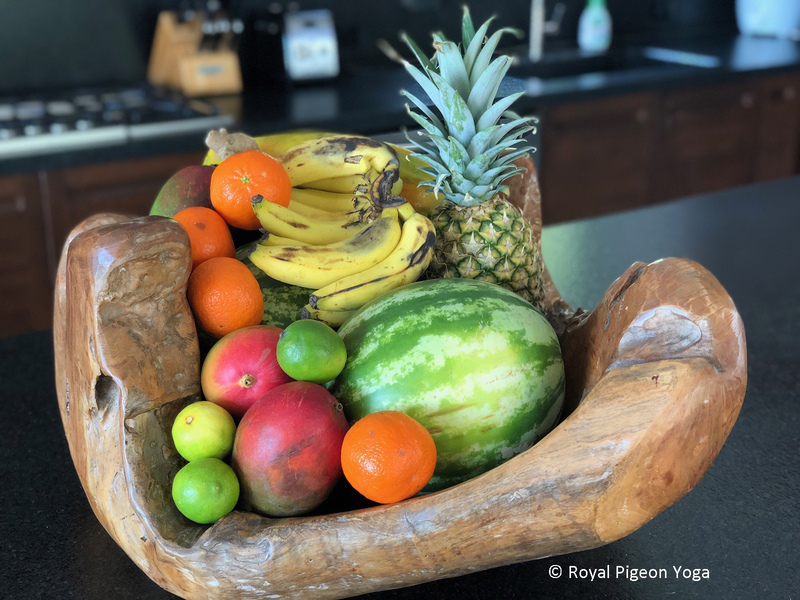 With the support of my students and a lot of research and preparation Royal Pigeon Yoga was able to provide a beautiful yoga retreat experience that went above and beyond. I know there are a lot of yoga teachers out there who are debating if they can pull off a retreat, so, I want to share my own tips and methods that might help the next teacher make their retreat goals a reality! Ask your students what type of vacation they want to go on (tropical, city, winter, etc.). Then, research multiple options. Finding out their ideal vacation will help narrow down where to look for retreat options. Once this is done, give your students options for retreat sites. 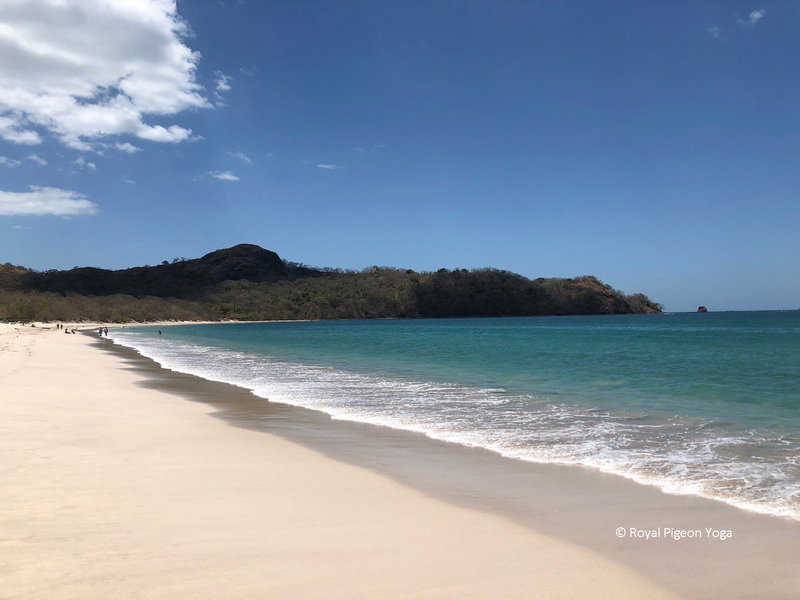 You can book your own vacation home with ample yoga space or choose a resort that hosts yoga retreats on the regular. Find a booking platform. 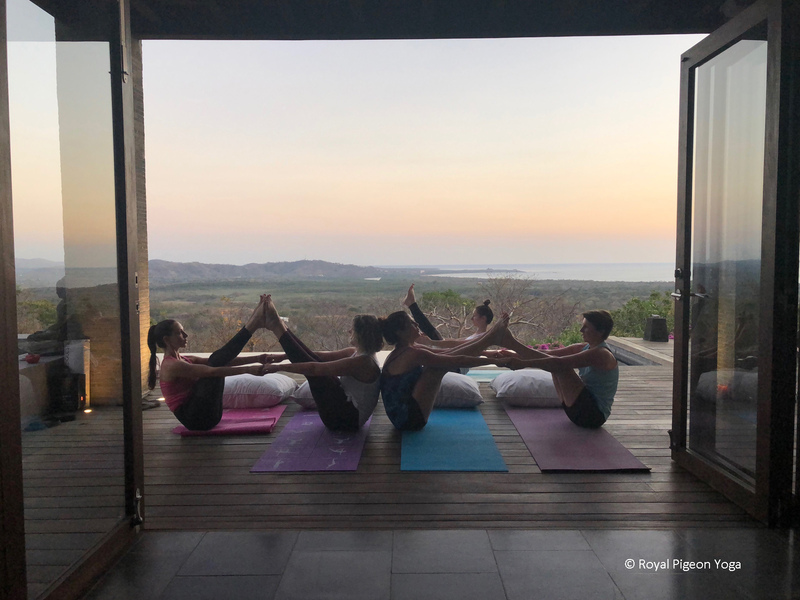 Royal Pigeon Yoga used WeTravel to set up and book this retreat. It was easy to use and almost a seamless process from student sign ups to getting paid. The one hiccup I came across was that students could not split payments between each other. If two people shared a room with one king size bed, one person had to pay the full amount. This is not a big deal since most friends are fine with paying each other back, but it did create some extra work on my part to try and resolve the issue. Local produce. 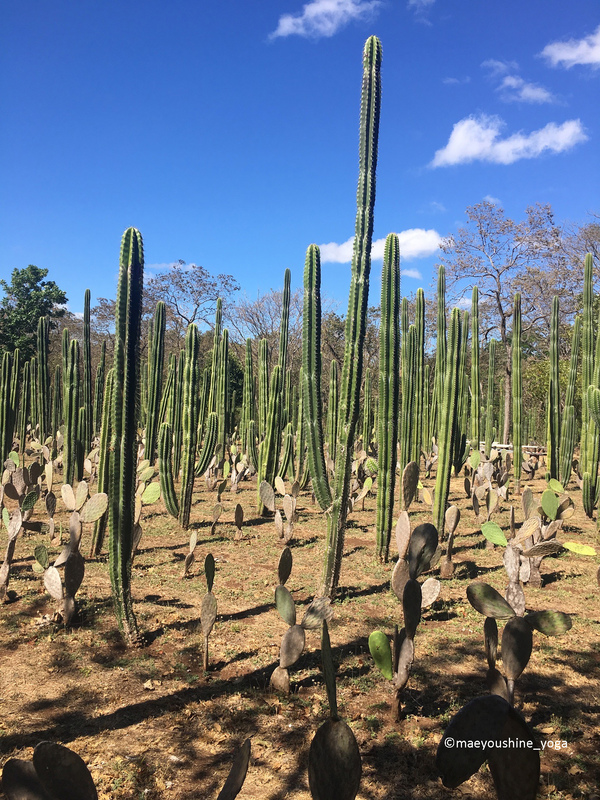 Tamarindo, Costa Rica. Prepare meals ahead of time. Whether the retreat site includes food or you need to arrange for it make sure you prepare a list of what you and the group will eat for every meal. If meals are not included you will need to research and should add it as an additional line item in the retreat sign up or work it into your retreat price. For this retreat it was an additional line item that students had the option to pay for. The other option was that each student would be responsible for his or her meals. Research local experiences that students can sign up for. Every destination will have some unique aspect about it. Find options that appeal to your students or that fit the vision of your retreat. Be sure to also prepare transportation options to and from the experience. Add this as an additional pricing item for the retreat or if sign up is complete write an email listing local experience(s); include how much it will be per person (including transportation to and from) and the date and time. Let this be optional so students don’t feel obligated if they don’t want to participate or if it does not fit their budget. Once you have an idea of who is interested in this local experience call or email the location to find out if you need a reservation. Ask about cancellation policies and then reserve the spots. Prepare an itinerary. For this retreat I arranged transportation to and from the retreat site and also for our activities. There were meals and outings to coordinate and most important of all, YOGA SESSIONS, to prepare for. I decided to write down an hour-by-hour itinerary. It was not a mandatory schedule but a guide of what each day would look like. It was incredibly useful from catching potential meal issues to making sure I had arranged for all of our travel to and from the retreat site. During the retreat we did end up sticking fairly close to the itinerary. Having it also made it easy to deviate without ending up hungry, stranded, or skipping yoga sessions. Arrive at your retreat site early to prepare a special space for each student. Arriving early will help you prepare for any issues that may come up with the retreat site (maybe one of the rooms is not prepared or there was a miscommunication with some aspect of the accommodations). You want to make sure that your students are walking into your vision of a retreat space so get there first. How to create a special space for each student? The simple act of bringing your energy into the space is enough. Use meditation bells, scents, prayers, chants, or sacred mantras to seal the students’ rooms. If you want to do something extra prepare a small gift or token for each student (useful swag with your brand on it or objects that relate to the retreat/hold meaning to you as a yoga teacher). Don’t feel bound to one section of the retreat site. Many retreats have one room or space where most of the yoga is performed. If it is accessible and allowed try to explore the property for other areas that will enhance the experience of each session. Have fun and trust the process. Enough said.